The Western Bulldogs may have been impressive in their own right in the thrilling 17-point win over the Swans, and laid bare one of the veteran team's worrying traits. 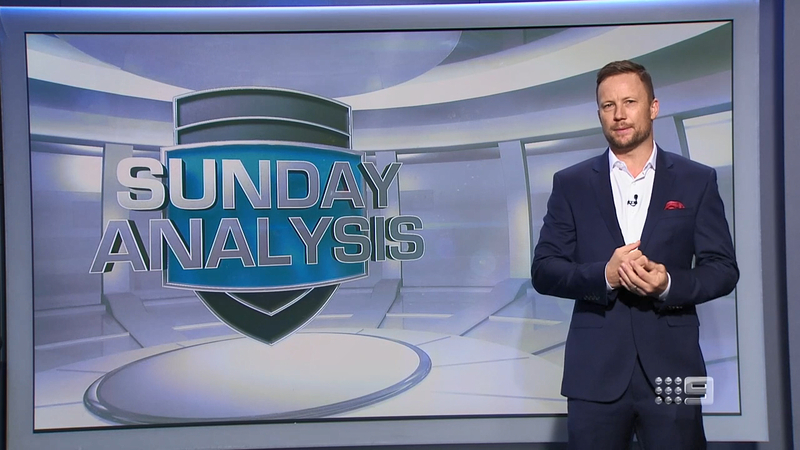 Speaking on the AFL Sunday Footy Show, former Bulldogs and Richmond great Nathan Brown explained how the Bulldogs were able to spring one of the upsets of the opening round. "What I noticed about Sydney was their lack of pace," Brown said. "They were very, very slow and one-paced through the midfield. (Luke) Parker didn't touch it, (Josh) Kennedy didn't touch it. "But the Dogs were savage. (They) were back to their contested best around the packs and they just ran (Sydney) off their legs." Sydney were held goalless in two quarters and found themselves down by 40 points before a ferocious comeback attempt ultimately fell short. Brown also singled out the defensive effort of Swans star Jake Lloyd as one of the reasons the Bulldogs were able to prevail. Lloyd, the Swans' best and fairest winner in 2018, was prolific in winning the ball, finishing with 35 disposals and 10 parks, but Brown singled out three instances where Lloyd let himself down on the defensive end of the ball. On a disappointing night for the Swans, the one highlight was another stunning mark from Isaac Heeney in the first quarter. However, despite his brilliant showcase of athleticism, former Bombers star Matthew Lloyd said the Swans needed more from the mercurial young star. "He's got to become a dominant midfielder to try and support guys like (Kieran) Jack and Parker," Lloyd said. "Some are questioning whether he is a midfielder. Some thing he might be a pure forward."